2. You get to know more about your players, and understand which player should play crosses in, which player is a good long range shooter, as well as the preferred foot of your strikers when you are approaching goal. 3. 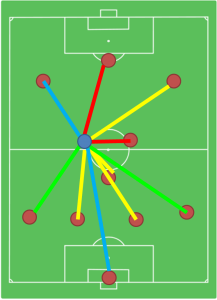 You are more familiar with your tactics, and know where your teammates are without needing to look at the radar, which allow you to play quick passes. 4. Your team chemistry improves. And point 4 will be what i would like to address in this post. I would believe that Team Chemistry plays a crucial role in PES 2012, as it can play a significant role in helping a weaker team defeat a stronger team. However, the settings for team chemistry has changed over the years in PES. 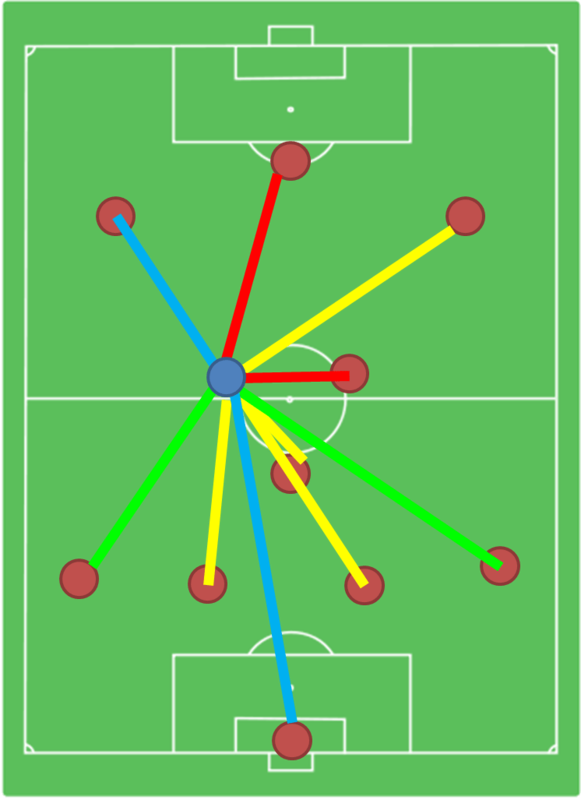 The picture above shows how team chemistry is represented in previous versions of PES, with the colours representing varying amount of chemistry and teamwork each player has with the selected (blue) player. This format allows us to better understand the group of players that work well together, such that playing them together in the starting lineup will lead to smoother gameplay. A teamwork of 80, such as that seen in the picture above, is considered decent. 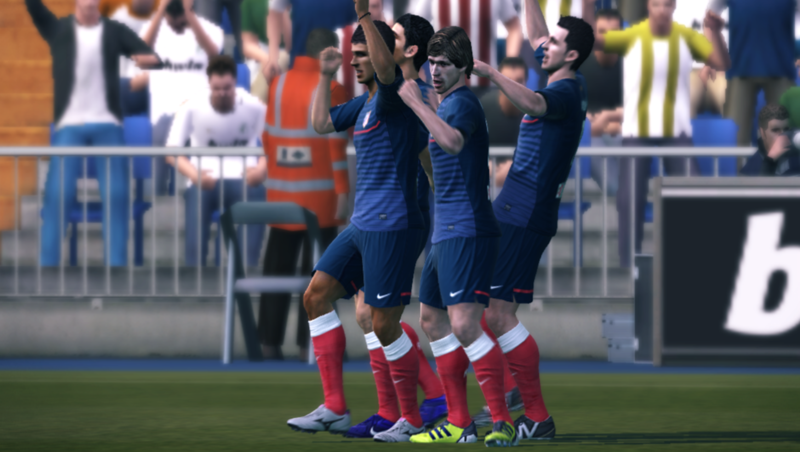 Thus, to enjoy team chemistry in PES 2012, fielding players with high teamwork attribute will be a good strategy, especially if you wish to stand a chance of staging an upset against a stronger team. Players with high teamwork attribute (above 90) would include Iniesta, Xavi, Fabregas, Xabi Alonso and Pirlo. More realistic targets with decent teamwork attribute (above 80) include Arteta, Charlie Adam, Toulalan, Song and Barry. Training in Master League may help to increase the teamwork attribute too, though I am not too sure of this. I would guess ‘Strategy’ training may help increase this attribute. Do correct me if I am wrong! And with this, hope that you will be able to enjoy your PES even more with smooth passing among your players.